The Industrial Dining table is our strong Industrial Style dining table to last a lifetime. A solid timber table top is mounted to Powder Coated Steel legs with timber inserts inside the steel to demand attention in any home. Our Industrial dining tables are available to any size. 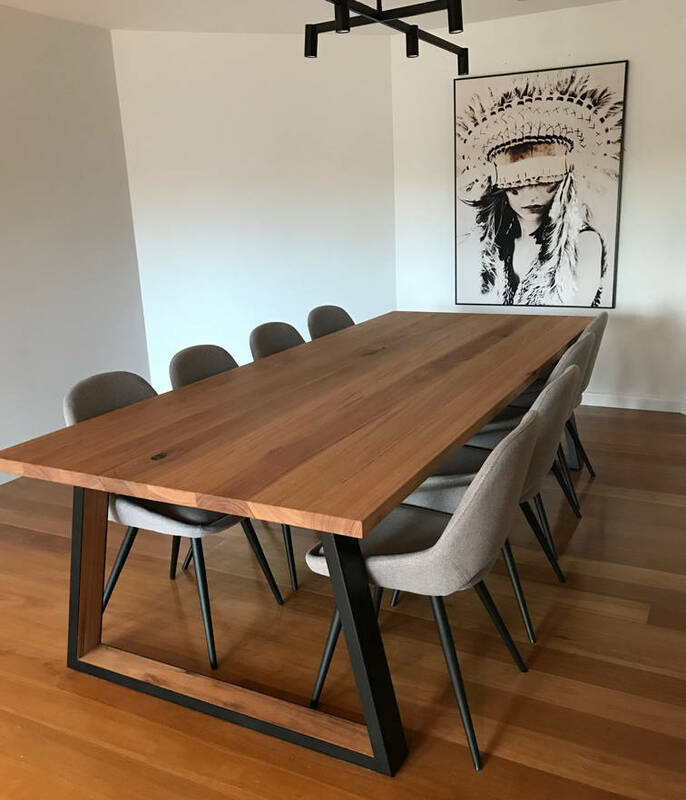 In this photo we are showing a Blackbutt timber table with the Trapezoid style timber insert legs, this design is also available with a square leg and can be customised with any timber. 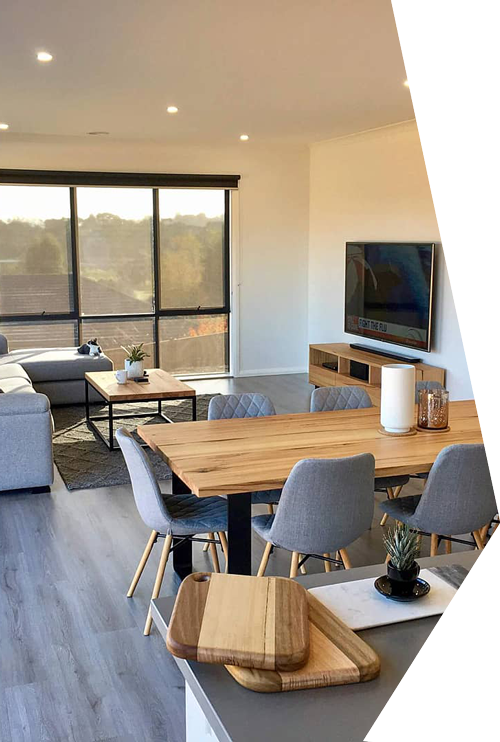 We offer wide range of Custom Made Furniture, Hoop Leg Dining Tables, Custom Made Tables, Built in Entertainment Units & Corner TV Cabinets.